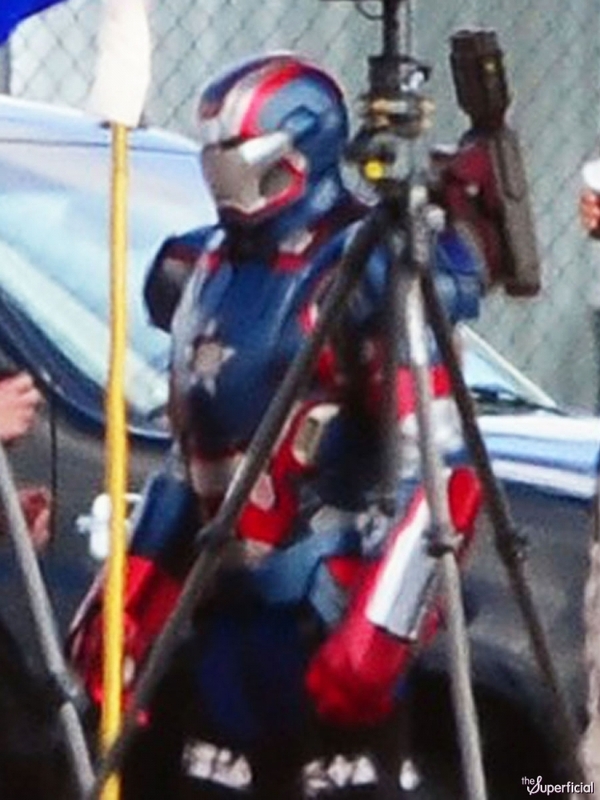 Iron Patriot Not In IRON MAN 3; New Set Photos Reveal Presence of A.I.M. Late last month, we brought you some behind the scenes pics of (what had been reported to be) James Badge Dale in Iron Patriot armor on the North Carolina set of director Shane Black‘s third installment of the Iron Man movie franchise. Even though SHH had reportedly received confirmation that it was indeed Iron Patriot armor, Latino-Review now claims that the photos are actually of War Machine armor with a fresh government paint job, and it was a caucasian stuntman standing in for Don Cheadle, rather than James Badge Dale. Take it all with a grain of salt folks! 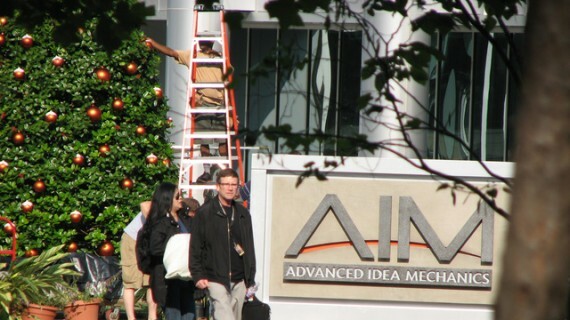 The folks over at io9 got their hands on some set photos of an A.I.M. sign. A.I.M. or Advanced Idea Mechanics is one of the Marvel Universe’s evil terrorist organizations, which dates back to Hydra era WWII. A.I.M scientists created the containment matrix for the Cosmic Cube (Tesseract), and went on to create MODOK ( (Mental Organism Designed Only for Killing).